Although the current tax return system will be changing as a result of the Government's Making Tax Digital initiative, if you file by paper you still need to meet the 31 October 2016 deadline for the year ended 5 April 2016. As part of its Making Tax Digital initiative, HM Revenue & Customs (HMRC) is currently consulting businesses of all sizes about the future of tax collection, including plans to replace the annual tax return with quarterly reporting within the next five years and a new points-based penalty system are debated. Until it is known what changes will be made to the Making Tax Digital initiative as a result of the consultations, the current penalties remain the same. Each of these penalties is in addition to one another means a tax return filed a year late could face penalties of at least £1,600 – and this could escalate depending on the level of tax due. You could also be liable for interest and late payment penalties on top if you pay any tax due late. 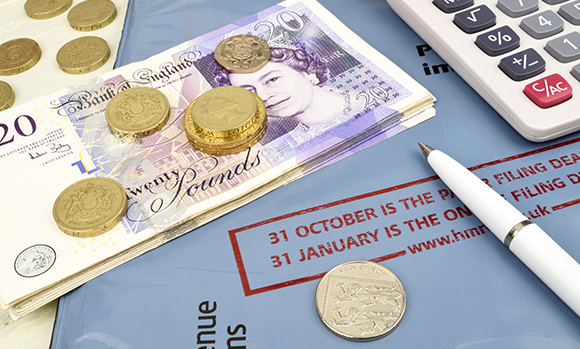 Tax payments are normally due on 31 January and sometimes the following 31 July, depending on the level of tax liability. Although more than 80% of taxpayers choose to file their tax returns online, which allows them to file their 2016 tax returns by 31 January 2017, please bear in mind that it clashes with the festive period. Some taxpayers may leave their tax returns until the New Year, but why not get yours done ahead of the holidays? Filing in advance means you can eat, drink and be merry over Christmas, without having to stress and worry about a looming tax return deadline. By preparing your records in advance for your tax return, you will equip your accountant with plenty of time to check for any tax planning opportunities you and your business may be eligible to receive; taking full advantage of any tax reliefs and allowances. Once your tax return is ready, your tax liability can be calculated. Your income tax liability for your 2016 tax return is due by 31 January 2017, even if you file your tax return early. Therefore, the sooner you prepare your return, the sooner you can start looking at your finances and deciding on what you need to put aside to cover your tax bill. As delaying your financial affairs can be severe but your time may be tight because you are busy concentrating on the day-to-day running of your business, why not let the experts at your local TaxAssist Accountants look after your tax affairs and responsibilities.